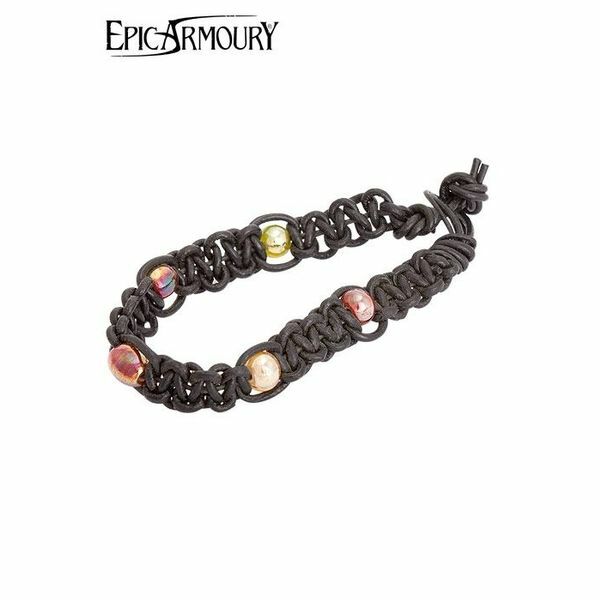 A basic medieval jewel by Epic Armoury. 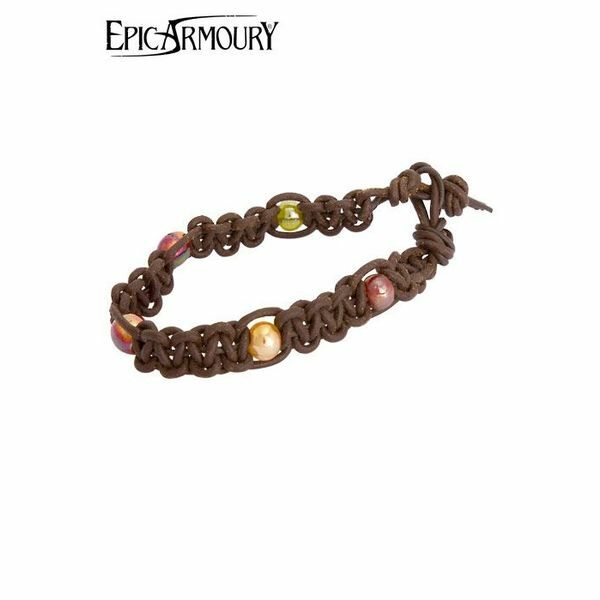 This bracelet is made of strips of tanned leather with glass beads. 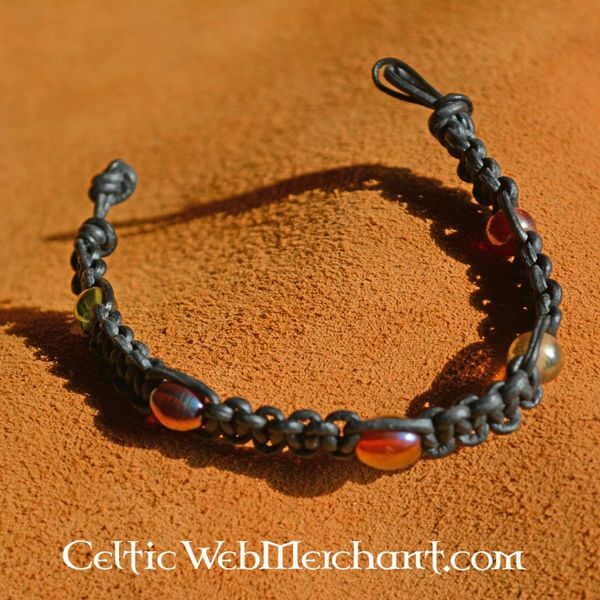 Several bracelets together form a Celtic knot motive. 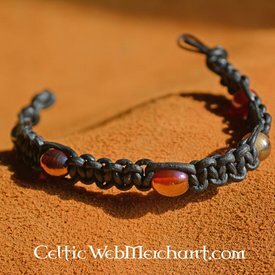 Suitable for portraying many LARP characters. 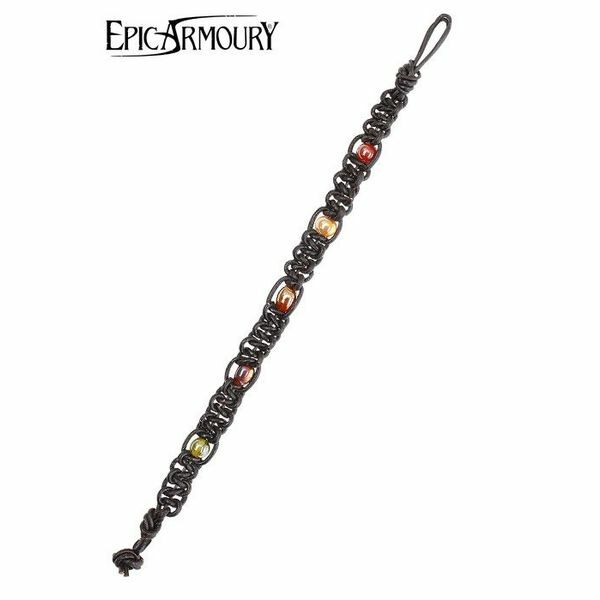 Available in both black and brown leather. It has a length of approx. 26 cm and it is approx. 1 cm wide. It weighs 20 grams.